There’s a moment, partway through school choice champion Betsy DeVos’ oft-strange confirmation hearing before the U.S. Senate, in which President Trump’s nominee for the top education post in the country suggests a federal civil rights law protecting students with disabilities is a matter best left to the states. 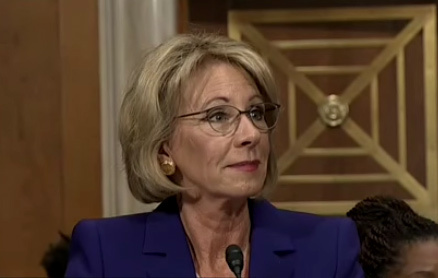 Questioned minutes later, DeVos confesses she may have “confused” the Individuals with Disabilities Education Act (IDEA), leading Democratic Sen. Maggie Hassan to worry aloud that the presumed chief of the United States’ massive public education structure is “unfamiliar” with one of its most basic protections. It’s scenes like these that seem to be most vexing to public education advocates like June Atkinson, North Carolina’s former superintendent of public instruction, as DeVos’ confirmation looms. Atkinson was recently ousted from her longtime post by a Republican challenger who, much like DeVos, comes to the top position with relatively little experience in public school policymaking. The global resistance to the dark and troubling new world order promised by President Donald Trump got off to a fabulous start this past Saturday. 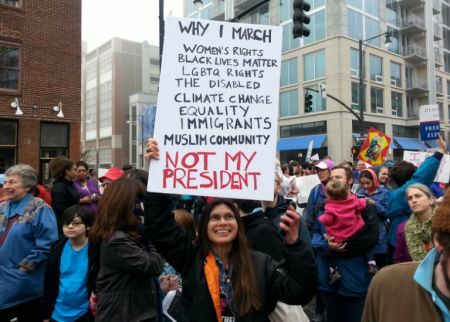 All across the planet, caring and thinking women and men took to the streets by the millions to register their opposition and to commence the process of pushing back. Last October, about 20 people from North Carolina’s hog country — working-class, African-American, ordinary people — drove 300 miles to Washington, D.C., to tell their story. 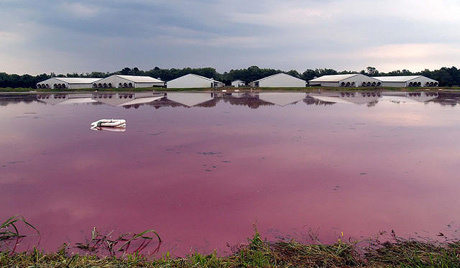 At two meetings, one with the EPA and another with several members of Congress and staff, these ordinary people described their very unordinary lives near industrialized hog farms. About the stench and the flies that make it impossible to go outside on a beautiful summer evening. Their breathing problems and depressed property values. About the liquid hog manure that drifts from the spray fields and settles in their yards and on their porches. They also told federal officials about the intimidation, the threat of physical violence they felt from some hog farmers — a consequence of the residents’ outspokenness. That the NC Department of Environmental Quality has done little, if anything to help these communities, and that at times, it had even worked at cross purposes to them. A federal judge said Thursday that she has all the documents she needs to decide a Medicaid expansion dispute between top GOP lawmakers and the state, and there will no longer be a court hearing Friday in New Bern. 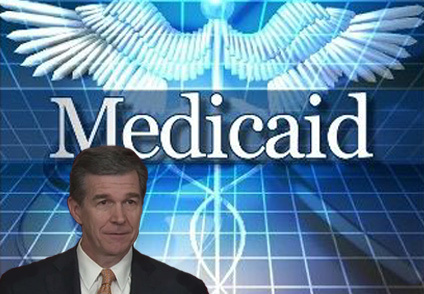 U.S. District Court Judge Louise Wood Flanagan will either decide to halt litigation for 60 days so that President Donald Trump’s administration can evaluate the issues or she will decide whether or not the state can proceed with plans to expand Medicaid. She could also decide to dismiss the case. 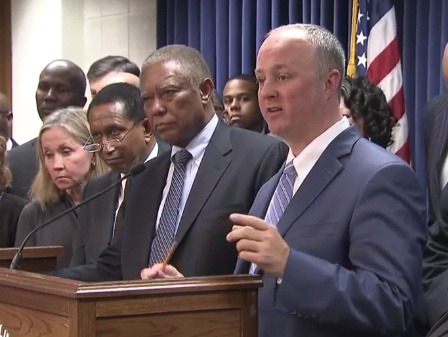 Democratic members of the N.C. House and Senate gathered Wednesday afternoon for a press conference on the new session of the General Assembly, their priorities and working with new Democratic Gov. Roy Cooper. Senate Minority Leader Dan Blue (D-Wake) and House Minority Leader Dan Jackson (D-Wake) led the wide-ranging discussion, which focused on unmet funding needs in public education, the continuation of disaster relief efforts begun during last month’s special legislative session, the possibility of expanding Medicaid in the state and the repeal of HB2. Still the largest controversy facing the General Assembly, various aspects of HB2 took up much of the discussion.